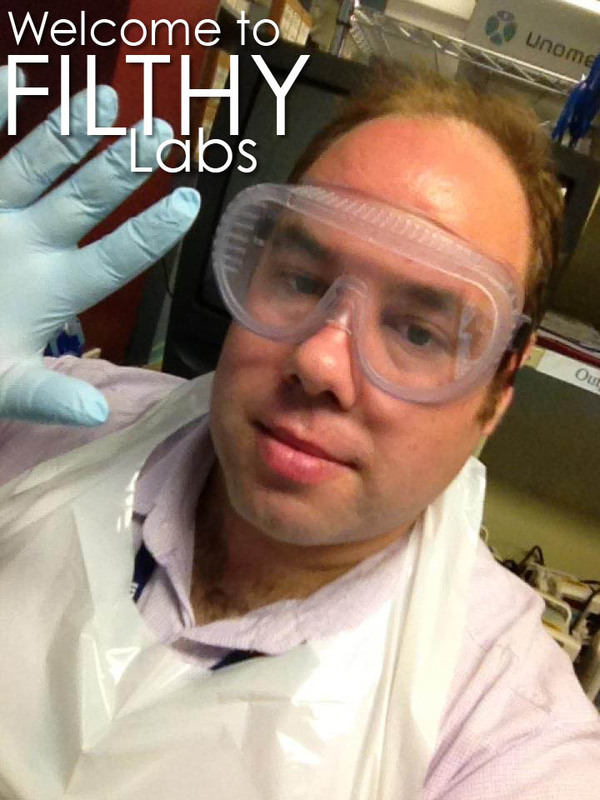 Welcome back to Filthy Labs. Previously in Filthy Labs, we began to assess the effectiveness of a “Wet” Teflon based lubricant spray on the functionality of a previously gummed up typewriter. The machine in question was an Adler Gabby 25, which had been filled with a capricious amount of WD40 by its previous owner. The WD40 was cleaned out by an extensive blast of degreaser more recently, but after the machine sat idle for some months it began to jam up again significantly. 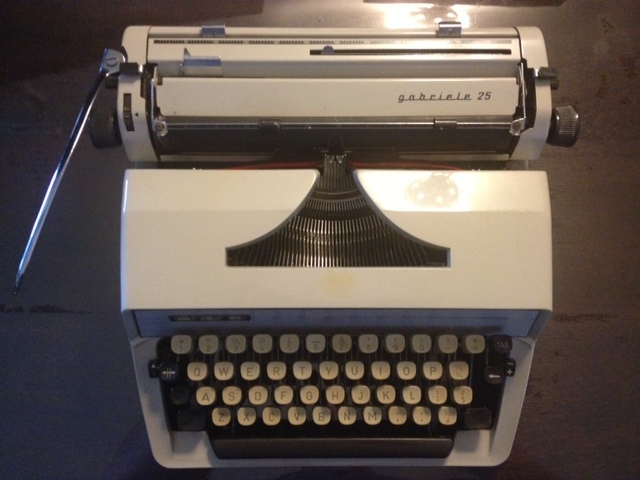 Two types of lubricant were applied to parts of this typewriter. The details of which can be found HERE. Both of the lubricants were used on the segment across selected groups of type bars. A control group was established of type bars that were left UN-lubricated. The Gabby on cleaning day, 3.5 months ago. 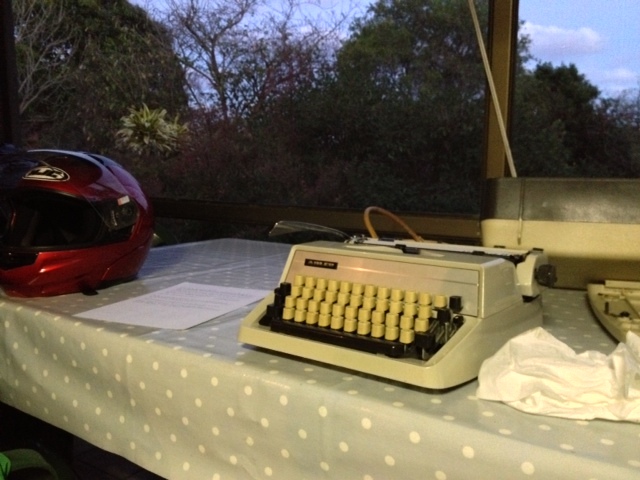 After an initial 3 months of storage, this typewriter began to return to very stiff operation – despite the WD40 being removed. Lubrication was applied to the machine in controlled areas, ensuring comparison between the control and non control group type-bars. The control group consisted of type bars in the segment that had not been treated. The Teflon spray should have both cleaned and kept the type-bars lubricated, while the control bars are expected to return to their previously ‘sticky’ state. After basic operation and initial testing, this machine was kept in storage – inactive, for 3 months through the hot summer period. It is then tested with some rigorous typing. Has it really been 3 months since I last wrote on this machine? Damn! How time flies. I grabbed the Adler typewriter out of the cupboard, fed some paper into it, and was immediately reminded of how incredibly smooth the operation of the carriage was. Over time the waxy ‘dry’ lubricant that I had applied into the tracks and had left the operation feeling very refined. I have observed this in numerous machines that I have applied the ‘dry’ lubricant into, and I still feel surprised by how dramatic the change is. I began typing on the machine, and found the treated group keys (PTFE spray) was completely functional and smooth to operate. However, one of the keys on the right hand side of the keyboard still felt slow – and it seemed to stick a little, before settling back into place. It was a key that held a couple of fraction functions, and I checked my previous attempt at using this key, and found I had barely operated it previously. the ‘Q’ key that I had injected the ‘dry’ lubricant into last time as it was super-stuck, operated flawlessly. The control group keys had not simply stuck as they had before. The number keys in the control group showed a significant sticking, but in general letter keys operated back and forth typically. However, there was a distinct difference between the keys in the control group and the keys in the treated group. The control group keys required a notably heavier touch to type with, and they felt as though they were offering considerably greater resistance during typing than the treated group, and the type slugs sometimes rested slightly away from the type-bar rest. The lubricant didn’t show any obvious bonding depositing of dry residue over the 3 month period, but it hadn’t been exposed to significant amounts of dust to trail if it would bond to dust and hold it. Residual lubricant had been brushed and wiped away, and as such there wasn’t a lot of surplus lube to bond with dust anyway. The TF2 wet spray did the job effectively, as did the focused application of the TF2 dry. The results between them did not seem significantly different, however the dry lubricant has a much lower risk of catching dust. So.. Is it an improvement over using WD40? Well! At this point I would personally suggest it over WD40. Obviously with a jammed typewriter you need to give the machine a decent workout no matter what you do with it. Repeated movement of the type-bars helps loosen them up, and the addition of the TF2 lube in this situation certainly assisted this process. The treated parts of the machine worked brilliantly. Trouble is, recently I’ve come across several typewriter repair professionals using WD40 in their repair work. At this point I realized that I had made a crucial error in judgement about WD40. I’d simply assumed that the collective knowledge on its use – which was generally a negative opinion – was true. However some cursory research has shown me that the communal opinion of WD40 may be less and fact, and something more of a meme or a false truism. This, in my opinion needs further investigation. I think it is time for the Filthy Labs to have a much closer look at WD40 – and what effects it may have on your typewriter. The PTFE isn’t a magic bullet. But, if you really find yourself needing to get your typewriter working with a lubricant, this stuff produces clean and excellent results. March 3, 2013 in Adler, Filthy Labs, fix, Gabby 25, Gabrielle 25, lubricate, PTFE, segment, teflon, test, typewriter. ← Spoiling Valentine’s day letter writing with Google. In my experience I've found WD-40 dries to a sticky goo that will inhibit moving parts. WD-40 is not a lube. I have use Teflon dry-lube, but not as much as you did. I used it on specific type bars and it works fantastic. The product I found to remove dried on and gooy WD-40 is the Zep product in our parts degreaser at work. It did wonders for my SM-7. I also find my Adlers to be the smoothest machines in my collection, especially the nearly frictionless carriage return. Very silky smooth. None of mine were gunked with WD-40 nor did I lube any with Teflon, just a light coating of gun oil. Next WD-40 typewriter I get I will give the Teflon spray a try. After your initial posts on Teflon lube I impatiently got myself some wet and dry versions of the stuff. I have been using the wet with success, although I don't know that it's better than PB B'laster (stinks less, though). The dry (manufactured by Remington Arms!) is difficult for me to apply properly; they say that if it leaves a white residue you're applying to much, but I can't seem to avoid a residue no matter how delicately I spray. I've always been over-confident about my typers not being prone to gumming up until it happened to two of my machines twice. In both cases, PB Blaster worked and worked almost instantly. But the chemical smell is overpowering, it takes a week to disappear. The teflon spray is something I'm willing to try. I never studied science so I haven't a clue what I'm talking about. However, I have tried a lot of different sprays on typewriters and for many years now one that I have found works very well for me (without any sign of ever gumming up) is mostly naphthan based with a small amount of paraffin oil in it. It cleans and lubes all over without leaving any trace – for example, I take great care to keep degreasers away from plastic surfaces or paintwork, because they can take the sheen off. One lube I avoid is lithium based, because it will leave that white residue Richard mentioned. However, a silicone based lube seems to me OK? Am I talking nonsense here? Is this misguided? As far as I can tell, the evidence suggests this lube I generally use works well. Of course, I always follow up with a good blow through with an air compressor. Also, I am very wary about protecting decals, to ensure they are never harmed in any way. I think we need a long-term study comparing WD-40 and PTFE. Very good research. We need an institute and grants to expand our research. I am sure much to many folks's dismay, I have been using WD40 for years, sometimes even in a jammed segment, more often on little lever pivots (the bell clapper on SM3s for example). Wherever I have used it, it has been the tiniest drop – it does seem to have some lubricating properties. I have no experience of it leaving a gummy residue. More recently, I have experimented with lighter fluid, especially to clean type heads (like you put in a Zippo) which I believe is what's called naptha in some parts. This works a treat. The very best method so far that I have found for cleaning out the segment of all those cat hairs, eraser crumbs and dust, is compressed air (don't laugh, I use a bike pump with a football needle adapter) and the help of a small water colour brush. If there are still type bars that stick after that, the merest breath of WD40 vapour seems to prove a lasting result. Dose makes the poison, as they say. I think Rob's usage (tiny drops) is preferable. WD-40 is, after all, a (W)ater (D)isplacer, with a propellant in there. It certainly can help remove crud from the works, but common usage by the uninitiated is to just keep spraying the stuff until things loosen up. LONG TERM is where the problems arise: the water-displacing substance likes to form a shellac-like surface on the parts. Here's where the degreaser is necessary. A California summer is hot and dry, and I have an SM3 that was once coated in WD-40 and then garage-baked through many such summers. If the Teflon spray has better long-term tolerance for heat and doesn't leave any gummy, gluey surprises behind, I'll be happy to use it. I save the WD-40 to rejuvenate old ribbons. I've used WD-40 for many years and have never experienced the “gumming” that some people claim it causes. I've found that it dries cleanly, leaving little if any residue at all. Although it was designed for water displacement, many other uses have been found, including as a solvent. It is not intended for long-term lubrication, however. I don't see a problem using WD-40 to loosen and flush out old grease and dirt, but a proper lubricant should be applied afterward. It also is a decent rust-preventer as it doesn't leave a heavy film that attracts dust. Been using it on a rusted shut Rhienmetall and it's been doing wonders. HEY YOU CHANGED YOUR BANNER! You noticed! I did that about 2 weeks ago! You like? Mmmm… I've been looking into the WD 40 issue in the past few days, and I have to say… My research supports your point of view. I'm curious as to why it has such a bad reputation now. Well, this machine has been baking in the cupboard here in a hot Brisbane summer for 3 or so months now. The previous WD40 turned to goop within 3 months over winter, while the Teflon spray has showed no signs of deteriorating. Rob, do you mind if I email you and ask you about your results? I'm doing a bit of research on this, and I'm curious about how it has worked in people's machines. Ha ha ha. 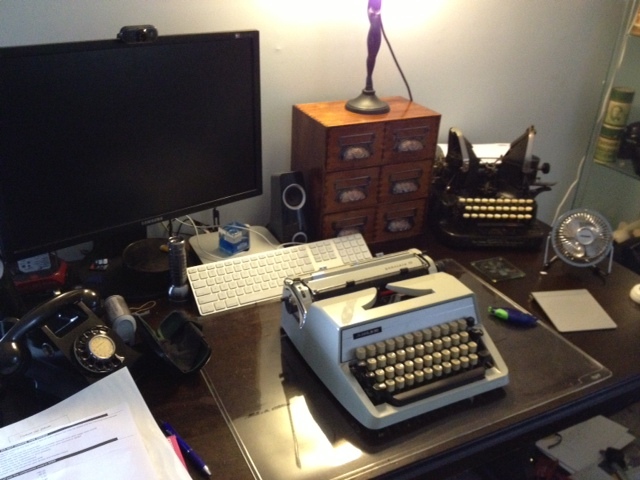 I wish I could make money researching how to fix typewriters! Give it a go. It seemed to clean out the WD40 beautifully, and lubed it up very nicely. The stuff I'm using doesn't leave a white finish, but I am applying it with a syringe and a needle – which I have found is the most effective way to use it. I would love to get hold of some PB blaster. Alas… it is difficult to get in Australia. I don't see why Silicon lube with be a problem at all. I'm curious to check some of that out too. Silicon would have great heat resistance properties, and would do especially well in electrical typewriters. Scott, no problem. My e-mail address is rob (at) robbowkerphotography.com. Reading through the replies here, and the mixed responses to WD40, my guess (just that) is that WD40 has been applied to previously over-lubed machines and has dissolved it, evaporated the oil and left a residue which isn't actualy part of the WD40 but the lube that was there before. That's just a guess though. On previously bone dry but troublesome segments I have used very small drops (I hold the can with nozzle attached and barely press the valve) and not seen any subsequent sticky residue – in fact nothing visible at all. I'm not even remotely a chemist but the WD40 website does day it lubricates. I look forward to hearing from you.